Is it really stealing if it was stolen in the first place? Your team of former art thieves have been hired by a prestigious art museum to recover an extremely rare art collection! This priceless exhibit has gone missing just before it is to be revealed to the public, and it’s up to you to return it to the museum before their big public gala! The party will be starting up very soon, and you need to get everything back before the attendees begin to notice something is wrong! You’ve tracked down the thief, but must steal back everything within an hour, otherwise, the unveiling will be ruined! 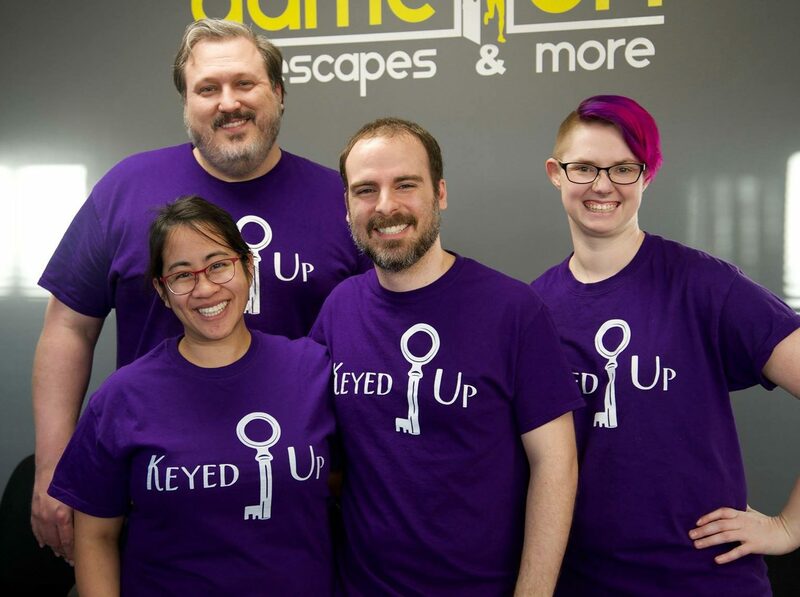 Museum Heist started off slowly, but did present an opportunity to break into our target’s home, whereas many other heist themed escape experiences start you out in medias res, deadening some of the immersion, so the extra effort was appreciated there. The second half of the game kicked the immersion and fun into high gear, presenting surprises and original puzzles that we had not expected. In fact, we thought we were almost finished when the latter half of the experience presented itself! There were a couple of well hidden bits of technology that really brought home the immersion and added a great jolt of excitement to the game. One specific puzzle engaged the entire team in an awesome retrieval endeavor that spanned the entire room! The set itself was fairly convincing, presenting us with a bevy of art themed props to play with, and challenging us to engage with some of the props in unexpected ways. Some of the props in this room have started to feel worn, especially the books included inside. Some searching feels overwrought, and takes away from the fun of the mystery. The opening to this room felt stilted and unnatural, with very little to point towards how to proceed. During the first half of the room, game flow was very choppy, and we were floundering for an idea of what to do at several points. There was a very light bit of outside knowledge that was not strictly required, but the alternative was poring through several books to determine the answer, which isn’t better. Luckily, we knew what we needed to in order to avoid that. Museum Heist was a challenging and highly interactive room that presented us with many different types of puzzling to work through, but stumbled in spots where the game flow hadn’t been completely ironed out. Probably one of their more difficult rooms, I do recommend giving it a shot to experience some of the entertaining surprises in store during the adventure! Steal back the museum’s treasures here!